A private entity is now actively engaged in raising capital to carry the coffee chain Starbucks to Jamaica, it is understood. The entity secured the services of an investment house to consider viable methods of raising funds, it is understood. The players want to put the first location in Sangster International Airport in Montego Bay. There are over 4 million passengers that commute through the airport annually. Visitors to the airport can buy an array of coffees from the airport including from Cafe Blue, Jablum, Coffee Roasters Jamaica. Earlier this year local media reported that Starbucks is considering entering the island along with other Caribbean territories in the medium term. Of course local players are concerned about the implications of a coffee giant entering the land of luxury coffee. Brands that sell to Starbucks including Amber Estate and Wallenford. cup of local coffee? Or would it simply increase the price? Let’s see. Not all cafe players are upbeat about the prospects especially those who earn from the tourist market. Starbucks would drop two cafes in Jamaica which will target tourists primarily at least initially, according to Coffee dealers who spoke to Jamaicamocha . Of course, last month the Gleaner reported that Starbucks is considering entering the island along with other Caribbean territories in the medium term. stores come up for contract renewal this year, according to media reports. 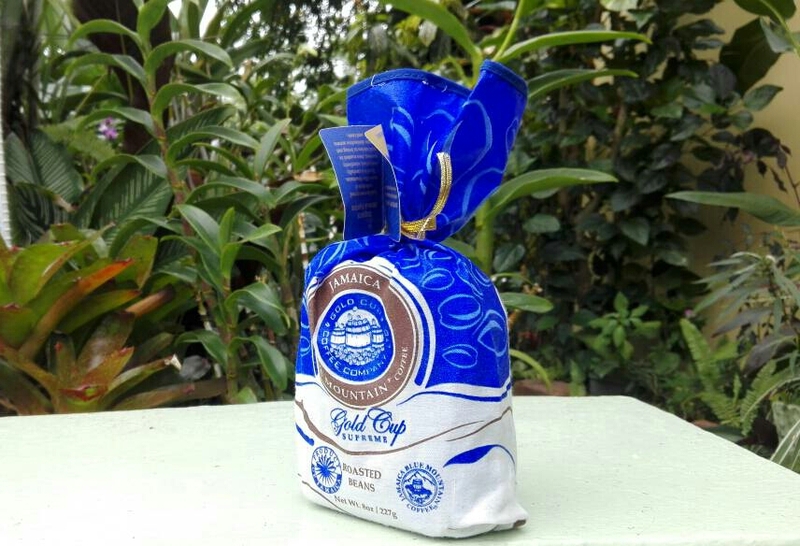 Single Estste Jamaican Blue Mountain coffee in our Etsy shop. Directly from Whitfield Estate. It’s 1.5lbs for under $48 inclusive of shipping. Great chocolatey and nutty profile. Medium-dark roast. It’s a joy to drink. I’ve oft heard that Antigua Guatemala best compares to beans from Jamaica. So I bought a bag at Starbucks and compared. Bean inspection: Mid-sized and fairly consistent. Not surprisingly, Starbucks over-roasted the beans. Its more medium-dark than medium as described. This meant that the lemons and fruitiness would likely have given way to a stronger chocolate taste profile. Taste profile: Spicy on top, deep spike of chocolate in middle, and smooth on back end. 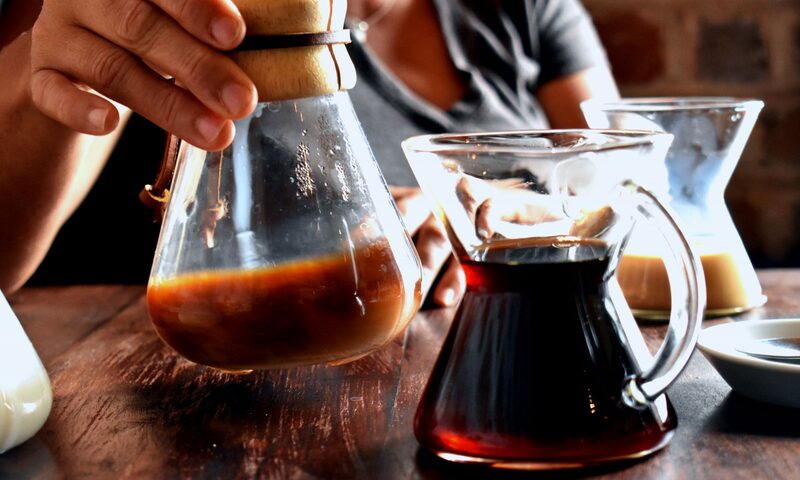 Tips: Lovely and chocolately with heavier body brewing methods such as coffee press over paper filters. Comparison to JBM: More spicy but less balance. JBM chocolate tends to emerge more gradually and often times balanced with vanilla tones. JBM costs four times as much per pound compared to Antiguan. So it is a great coffee for the price. Of course JBM remains quality that’s rarely matched. Personally I would mix JBM and Antiguan together to get a quality affordable cup. 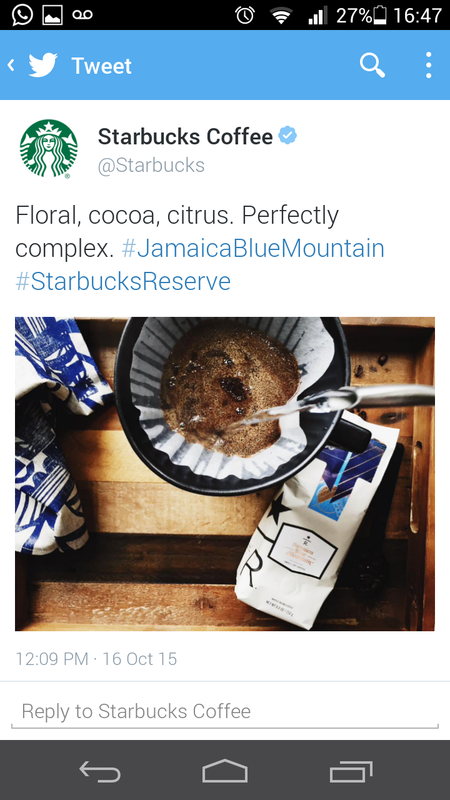 Starbucks started selling Jamaica Blue Mountain coffee this month at select stores in the United States. Starbucks will buy beans originating from Amber Estate and St Cloud Estate in the Jamaica Blue Mountains. It will then ship, roast and bag the beans to Starbucks specifications. The beans from Amber Estate are without doubt a superior bean. Its brews a coffee that’s heavy cacoa, gushing with lemony citrus. Starbucks, which had stopped offering the beans for about a year in the US, sells an 8.8 oz bag for just under US$30. It describes the coffee as perfectly complex. “This is a complex coffee with layers of citrus flavor and a hint of chocolate,” states the tweet. On Starbucks’ official page, it indicates that its the 6th year featuring the coffee described as a “customer and partner favorite”. Jamaican coffee remains in short supply due to a series of natural – such as the recent drought – and man-made events. “This coffee was grown beneath the peak of the 7,400-foot Blue Ridge. The dew, along with plentiful rainfall and fertile soil, helps create ideal growing conditions. After the harvest, each bean is scrutinized and certified to ensure nothing short of the highest quality. The result: a complex cup with layers of citrus flavor and a hint of cocoa,” Starbucks added. A respected local coffee brand SALADA Foods Jamaica Limited complained of Jamaica coffee price increases. The increases slashed its gross margins by more than one-quarter, the company stated. It’s the latest processor to complain about the over 30 per cent price hike in one year, and 250 per cent hike over two years, towards $11,000 per box of coffee cherry. However the price rise is due to a severe supply shortage based on drought, disease, farm decay and now fire. Concurrently, large overseas buyers are demanding more coffee from Jamaica. On the micro-level farmers are demanding more per box due to the impact of currency depreciation on farm costs, and also the cost to protect the coffee against disease and theft. Two years ago processors paid roughly $3,000 for a box of coffee cherry to farmers. Salada made $37-million profit before tax in the March quarter 2015 on $220 million in revenues, or 184 per cent higher profit year-on-year. Just this week, large coffee processor Mavis Bank Coffee Factory Ltd makers of Jablum indicated that fire damaged at least $200 million worth of farms thus far. Last week US-based Marley Coffee cautioned its investors that the supply shortage of Jamaica Blue Mountain coffee could affect its sales going forward. In recent times, Salada has faced increased local coffee competition in both the instant and brewed markets. Salada in its previous quarter hinted that it would seek to launch new coffee products this year. However, its latest March financials failed to add information on product development. Last year, large coffee company Mavis Bank Coffee Factory Ltd launched True Brew, an instant coffee. It also launched Jablum Caribbean Blend, a mixture of beans from Jamaica and the Caribbean. In 2012, it also launched a high-end product called Jablum Gold.